Easy to whip up in a few minutes, and even faster if you can convince someone to help you roll these puppies up. Bake for a few minutes to make them nice and crispy, then they're great for dipping in salsa, hot sauce, sour cream, and guacamole. 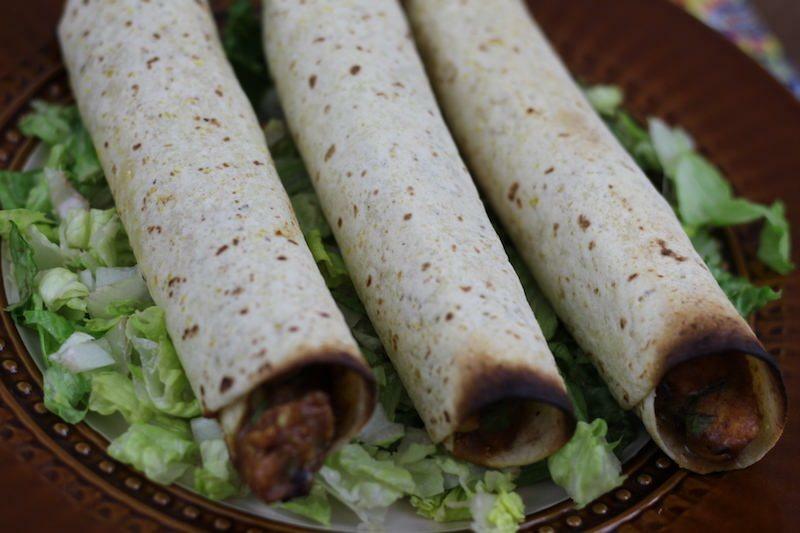 The last time I actually ate taquitos was in high school, so I got pretty excited to make these. Though not exactly like the frozen microwaveable version that I'm used to, these are great because they're healthier, lower in sodium, and you can add your own ingredients. Of course, they don't have all that nostalgia of eating an entire box at 2AM, but they are still good for parties or for a quick dinner. The list of ingredient's isn't huge, but it does take some time to collect everything. I forgot to pick up refried beans, so I just got a can of black beans and mashed them up. 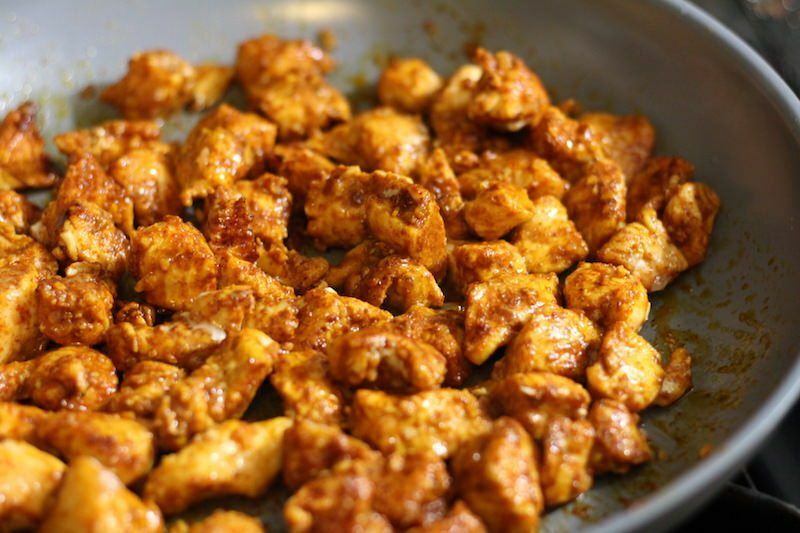 Start by cutting, seasoning, and cooking you chicken. 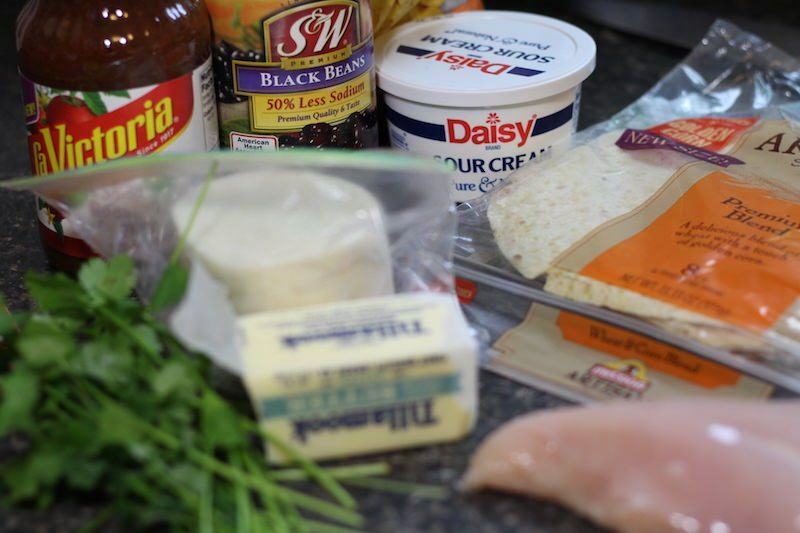 The original recipe called for fajita mix, so that's what I used. 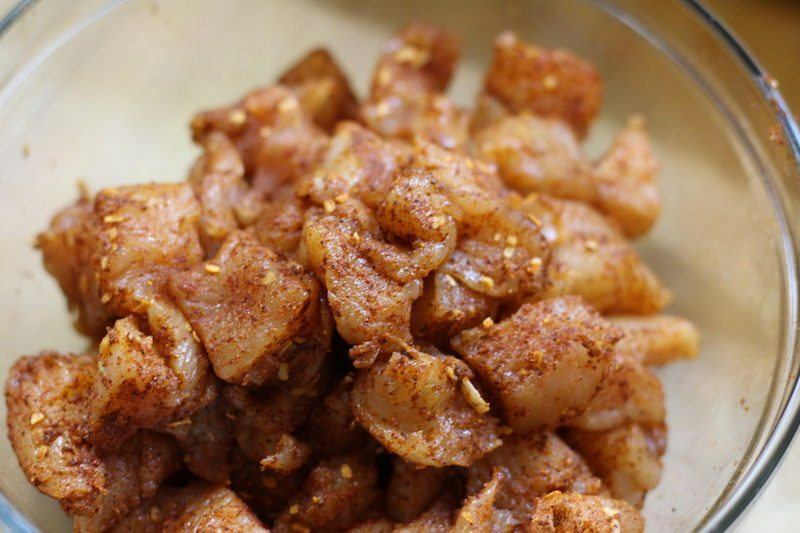 You could substitute for taco mix if you like a more cumin-y flavor. I cut the chicken chunks pretty small, but for taquitos, smaller is better! Actually, I might try blending these next time to create more of a ground chicken paste next time. It just makes them easier to roll, and chunks won't fall out. Making the filling is simple. 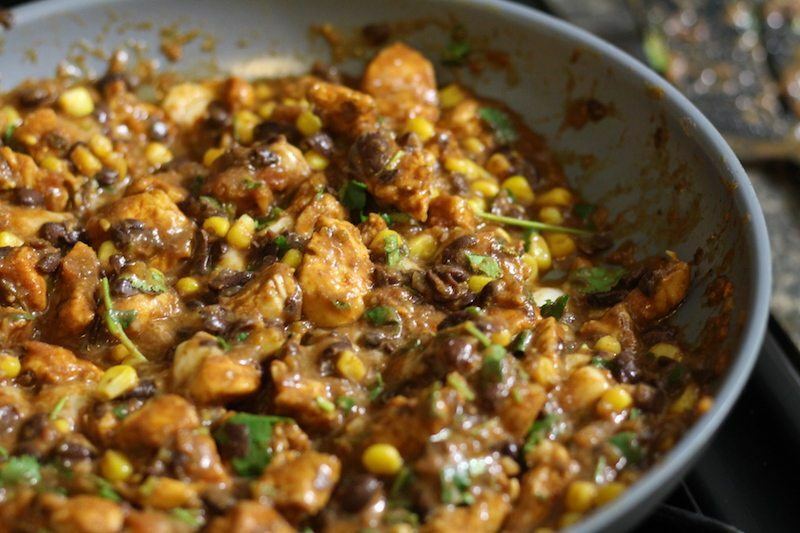 Just add your beans, corn, cilantro, and cheese and mix everything together. 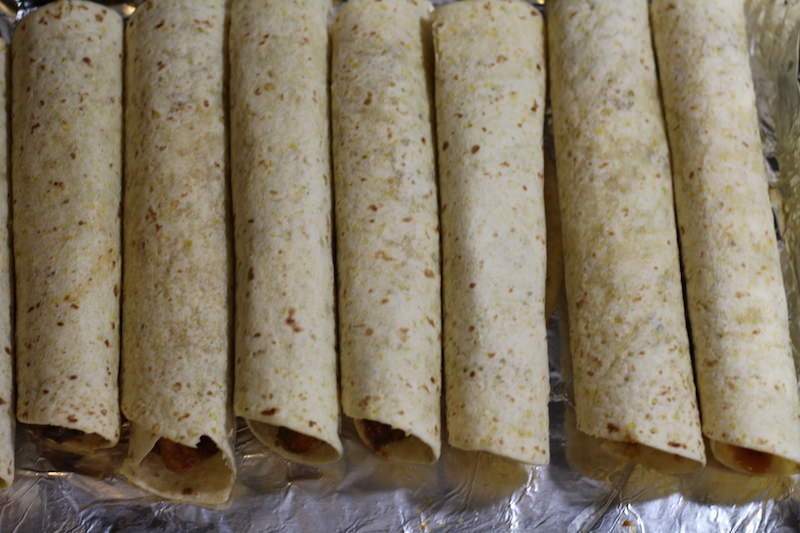 Make sure it's not too watery so stuff doesn't leak out of your taquitos while baking. 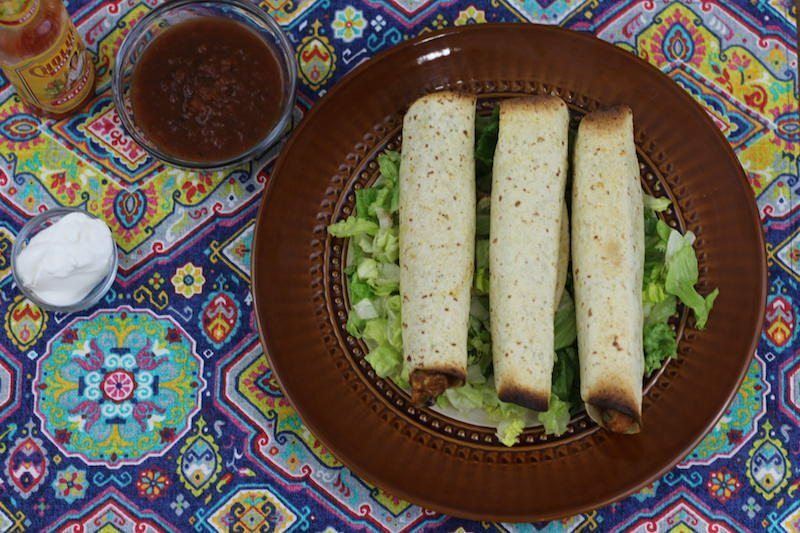 The most time consuming part of this meal was making the taquitos. 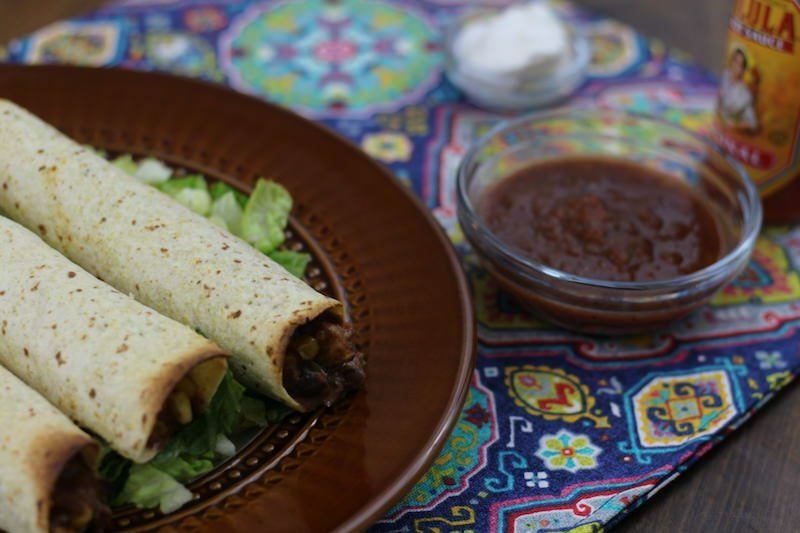 Smaller tortillas means less filling, more taquitos, and more time. For me, the 12 I made were perfect, and in line to the recipe. 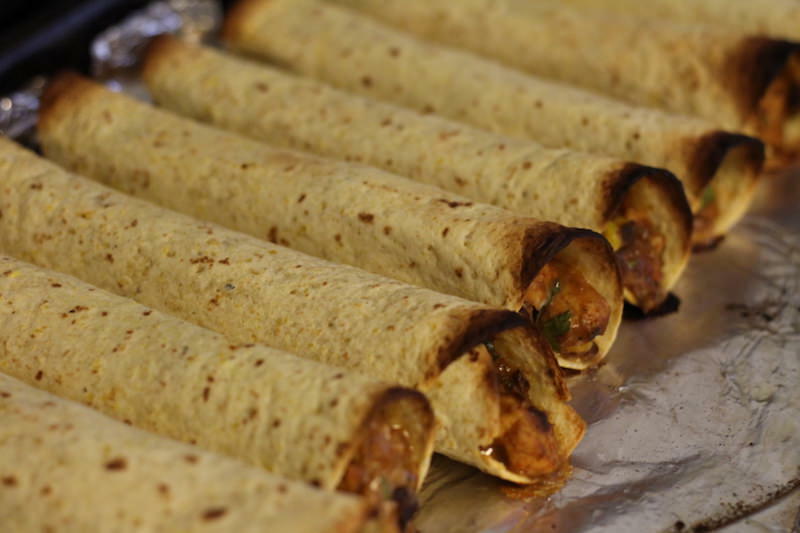 You could make a bigger one, but that makes it more of a baked burrito than a taquito, or smaller and tighter, but then that's a lot of carbs, and they aren't as filling. Experiment and see what tastes best! I forgot that my pan was really high in the oven and the edges started to burn. I didn't mind, but I pulled these out in a hurry. The shells were just starting to get crispy, but I would have liked to leave them in a bit longer. Next time I'll turn down the heat, and lower the pan so they don't burn. Eating straight beans, meat, and cheese with tortillas can be a bit heavy so I added a bed of lettuce. I think to make the lettuce easier to eat I might try a lettuce wrap next time, or throw in some lettuce into the taquito before baking. Salsa and sour cream are great for dipping! Try not to eat too many lol. I think I ate about six right after this photo shoot.